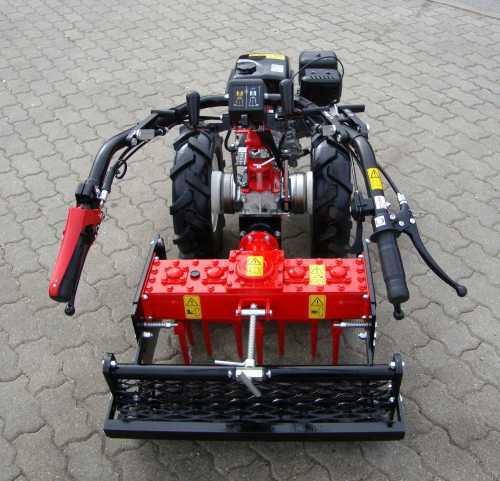 The high performance-rotary harrow MG600 was developed especially for the maintenance of green areas as well as the fruit and vegetable cultivation. 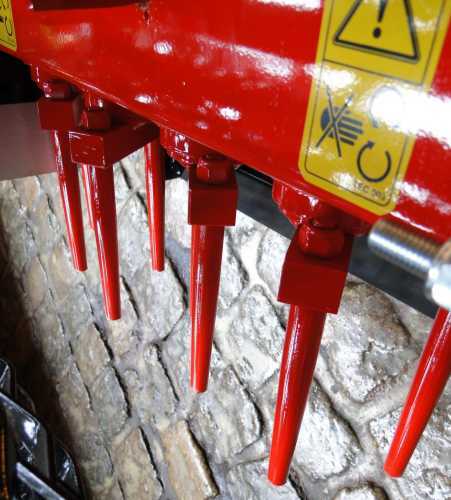 The special rotors with 2 round tines per rotor crumble the worked layer and let the soil intact below the work area, thus, water can penetrate the depths. 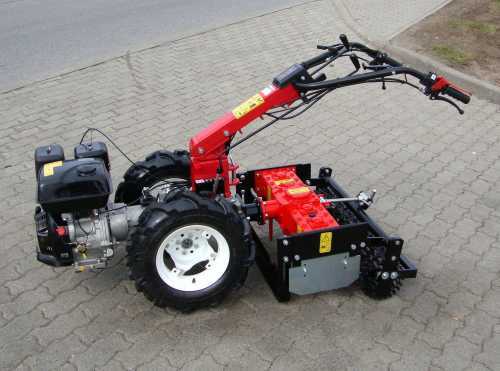 When used on lawns, the grass or weeds will be out-plucked and deposited on the surface. 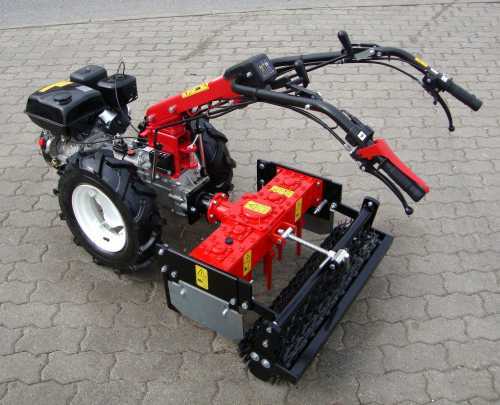 The rotary harrow is suitable for use with the two wheel tractor KM5. 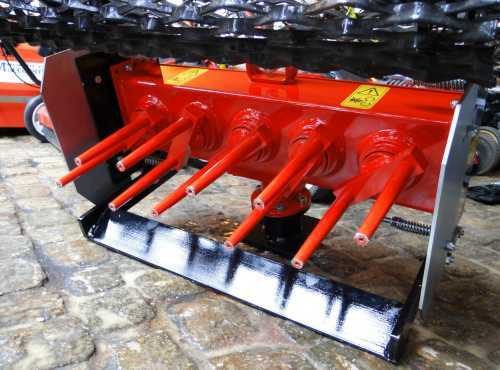 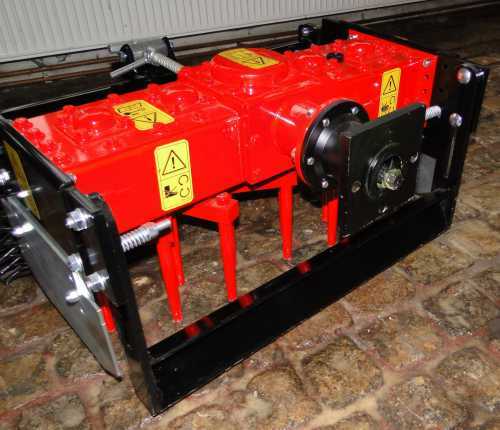 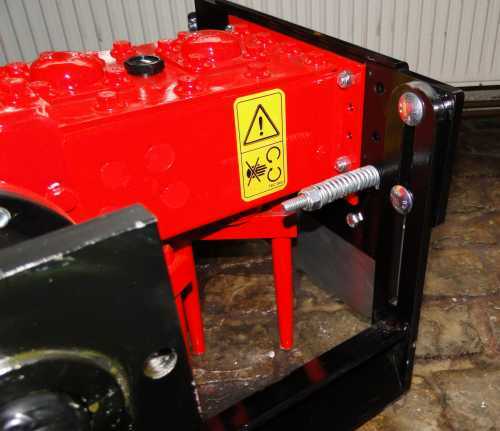 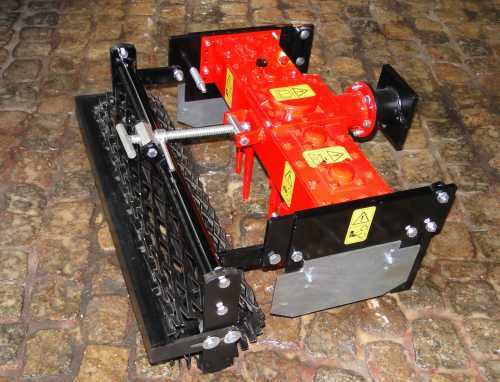 • The rotary harrow has 5 rotors with 2 screwed, therefore easily replaceable round prongs. 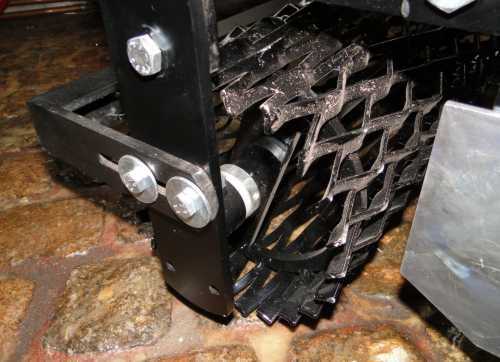 • Prior to the rotors there is a fully heightadjustable blade. 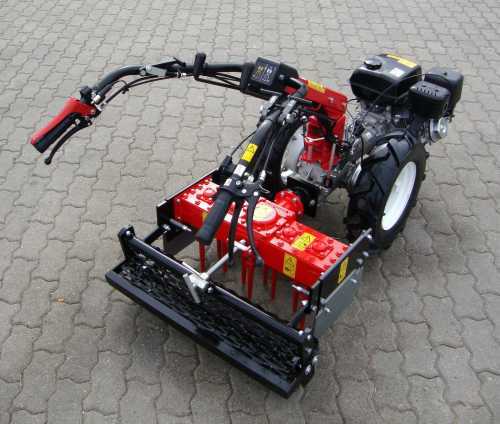 • Furthermore, it has a ball bearing mounted rear roller with adjustable scraper. 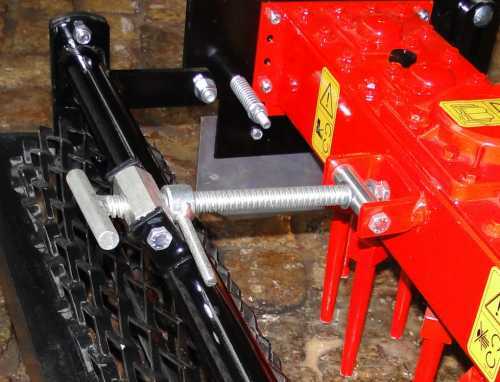 • The rear roller is height adjustable.